The mountain biking options in and around Greyton and Genadendal have increased dramatically in the last year thanks to a small band of enthusiasts who have built, cleared and marked many kilometres of track. Greyton and Genadendal are wonderful places for a mountain biking weekend: There are several routes to ride; stunning scenery; a range of accommodation to choose from and those who are not so energetic always find plenty to do in our beautiful village. Bikes may be hired at Oak & Vigne and High Hopes Bed and Breakfast. There are several enthusiastic mountain bikers who are always keen to share their local knowledge of the trails, and for those training and wanting to ride distance, there are many district roads that are safe and scenic. If you want to go for a doddle with the kids check out the Rockhopper Forest for real fun riding without the hills! Several farms allow riding on their tracks by prior arrangement and some major cycling events take place each year in the area, the Greyton MTB Classic, Dirtopia MTB Festival, The Greyton Tour and Genadendal Mission MTB and trail run. Visit the Greyton Genadendal MTB Club website for more information n routes, permits etc. 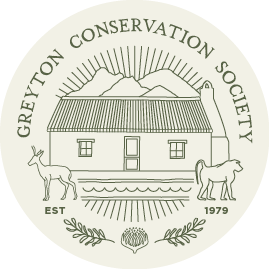 Use the hashtag #greytonconservationsociety and we will be able to find your social media post.